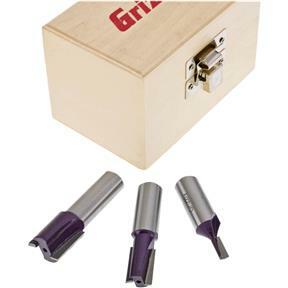 Grizzly H5559 - Straight Plywood 3 pc. Set 1/2"
Make your dadoes fit better with these straight bits sized for modern plywood. 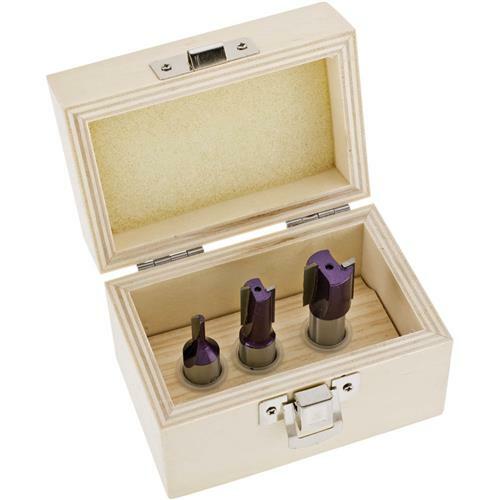 Set includes 7/32", 15/32" and 23/32" and a wooden box. 1/2" shank. The bits were as advertised. No complaints, all and all pretty decent for the price. I really like this bit set. I have only used the 3/4" so far and it does just what it suppose to do.